Leon Haslam and Shane Byrne on winning, losing, 2015 and beyond. 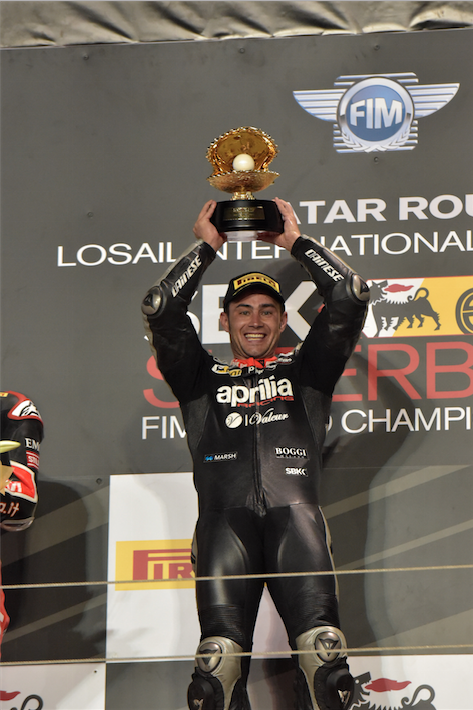 Aprilia WSB rider Leon Haslam ended his 2015 season on a high, with a win in the last round. 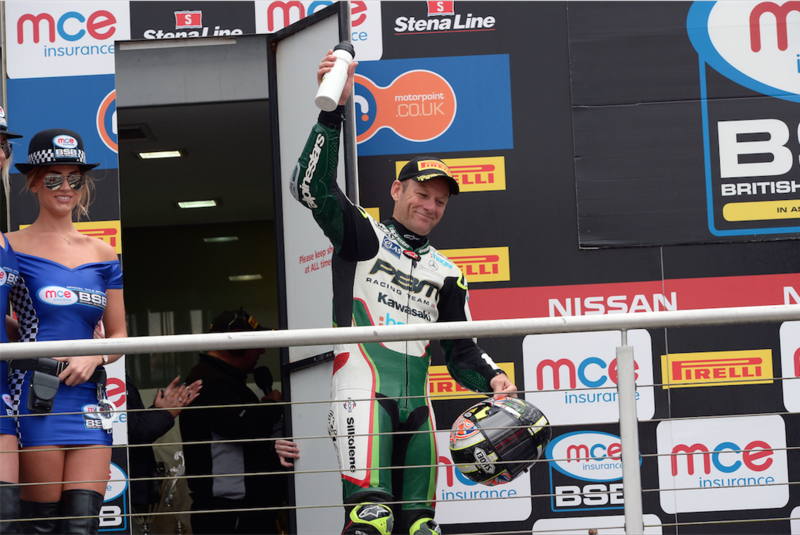 BSB rider Shane Byrne ended his 2015 season on a low, seeing his title go home with someone else. Within 24 hours of the lights going out on the 2015 season, we caught up with them both and asked them their thoughts on the last races of the year, as well as what tomorrow brings. SuperBike: At what point did you realize how the last race was going to play out? LH: We’d been suffering with the engine brake control for most of the year. It was mostly sensor failure and the exhaust valve being incorrectly set. When it works, it works great and this weekend it worked, the bike was easy to ride again. SB: I never go into a race thinking I’m going to lose, you might as well not bother if you don’t think you’re going to win every time. But, the package that Josh Brookes had, with the R1 being as good as it has for the second half of the season means that I haven’t really been doing anything other than fighting for second place. Josh fired in a quick qualifying time and I knew I’d have my work cut out, but I went out and gave it the lot, as I said to the boys in the garage afterwards, I rode 60 laps on the absolute limit this weekend. 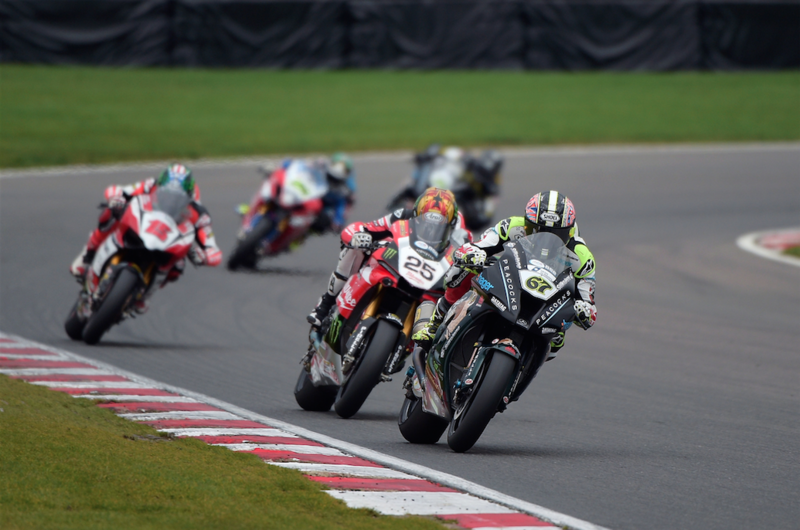 SuperBike: What about as your races progressed? LH: My start was pretty poor, but I found pace quickly. Once I got behind Chaz Davies I felt comfortable, but expected either Jordi Torres or a Kawasaki to attack. They didn’t which allowed me the space to relax and plan my race from behind Chaz. I tried to break him a few times but he came straight back at me on the brakes. But, I knew I would always have the advantage in the last third of the track. I spent most of the race knowing I was always had a good chance of winning. SB: I really wanted to win the last race of the year and when Josh crashed out, I thought it’d be a great way to repay Kawasaki and the team with a win. I followed Michael Laverty, decided I had the pace to break away and made a move with six or seven to go. Fair play to him, he came straight back past me. I still knew that there was a place that I could make a move with a few laps to go that would give me a chance to really get my head down and push to the line for the win. Then James Ellison came past me like a man possessed. I’ve never seen him ride so aggressively and yet so in control. He was making some really good moves, lunging from a long way back and really fighting for the win. It was great racing, but it also meant that there was no room for me to make my move. It’s so much harder to execute a safe move on two bikes than it is one and I rode round looking for an opportunity that just wasn’t there. SuperBike: Leon how important was it to you to win the last race of the season? LH: The last few rounds I’ve felt like we could challenge for wins but we kept having issues on race day. I had a good battle for second in Spain and had the pole in France, but was disappointed by race day results. 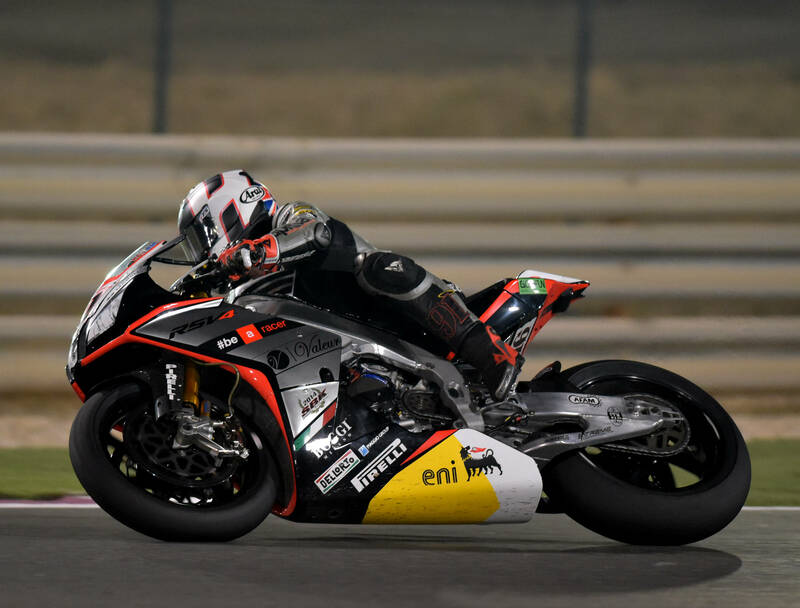 In Qatar I was on a bit of a low after race one with the same problems that had previously held me up, but with the problem solved for the last race it all came quite easily. To finish with a win is great for those moments of self doubt and should help me get the ride I need for next season. I’m confident we can challenge for top spots next year. SuperBike: Shakey, was there a turning point for you, where you could see that Josh and the Yamaha had clicked? SB: I know Josh said he’s ridden his balls off and I’m not questioning that at all, but it’s clear that the R1 had a huge advantage over the rest of the bikes in the field for the second half of the season. You don’t get BSB titles on the back of Frostie’s packets and I wanted to make him work for it. He did work for it, and deserved the title. 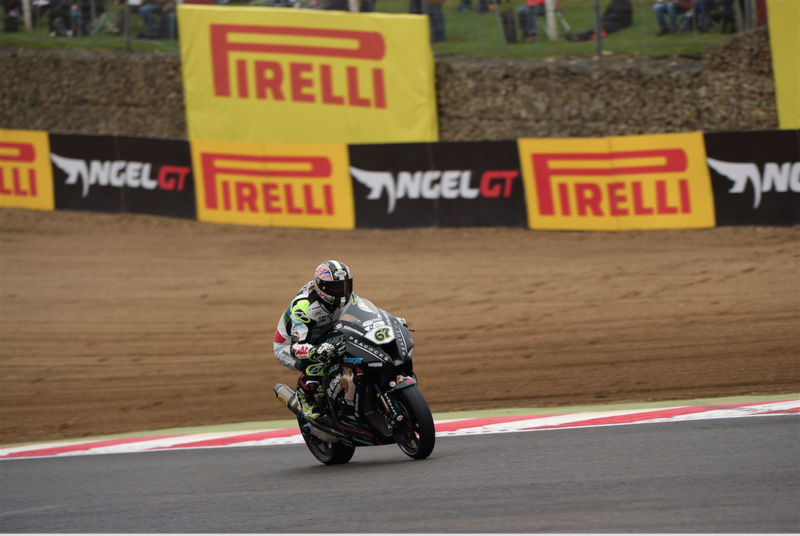 But it was clear to me and the team back when Josh did the double at Brands in August that the bike he was riding was way better than every other bike in the field. Whenever he wanted to he could gap the field and win by a decent margin. That meant all I was able to do was make sure to ride as hard as I could, knowing it probably wouldn’t be enough to beat the Yamaha. Part of me wondered why when I had a runaway year in BSB a few years ago, I had 10kg of ballast added to my bike to level the field. That didn’t happen this year even though it was fairly clear to see how much better a package the Yamaha was. It might sound like sour grapes, but it really isn’t, there’s twenty years of topflight racer in me questioning what goes on all the time. Any rider that has the amount of wins that Josh had this season deserves to win a title. Leon will spend his winter selling gold plated sandwich toasters. SuperBike: Leon, how does it feel like to win a WSB race? LH: To win ay race is amazing, but after the trouble we’ve had, to take the win in the last race of the season definitely sends you into the winter break with a smile on your face and a head full of confidence. To wake up and see that winner’s trophy is an amazing feeling. SuperBike: Shane, how does it feel to lose a BSB title? SB: You might think this sounds a bit corny, but in a in a way I don’t really feel like I’ve lost it. I know I came second, but I gave it my absolute everything in every race, I did as much as I could. It would have been much harder to swallow if Josh had pipped me by a tenth here and there in the last few races, but as I said earlier, Josh could gap the field and win by a margin on that Yamaha whenever he felt like it. With the best will in the world, all I was able to do, even if I was absolutely riding out of my skin, was hope to finish first behind the Yamaha. For that reason, I was really fucked off to not be able to give the boys a win in that last race, losing that one hurt more than the first two. SuperBike: What did today bring? SB: Unlike most of the BSB paddock, I woke up this morning with no hangover. My first thought was Ducati. I have a good history with them as a manufacturer. I won a BSB title with them in 2008 and have won WSB races with them as well. We didn’t part on bad terms when I came back to the BSB paddock to ride for someone else and I’m really looking forward to seeing what the race bike will be like next week. I’ve already got a Panigale R in the garage, the thing is an absolute weapon of a road bike. It’s so exciting having a new challenge waiting for 2016, my off season will be spent training and making sure I’m ready to do the bike and the team justice in BSB for 2016.